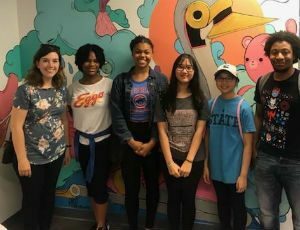 Teens at Chinatown Branch have been learning about their built (man-made), natural and social-emotional environments alongside Christina, their Teen Librarian, and Armani, their STEM Mentor, and many summer partner organizations. At Plant Chicago they were able to build their own self-watering system using the science behind aquaponics, while learning about sustainability and food production. They also had an opportunity to discuss No Small Plans with the author Gabe Lyon of Chicago Architecture Foundation in a special program at which they discussed the past and present of the Chinatown community, talking through what they liked about their neighborhoods and hoped to changed, as well as how to make positive changes in Chicago. 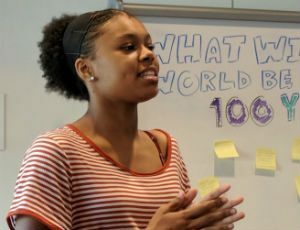 Several of the teens in the community expressed an interest in personally influencing their social-emotional environments through campaigns, investigating issues around mental health and bullying. From t-shirt to button-making, they hope to make a positive difference in the city. 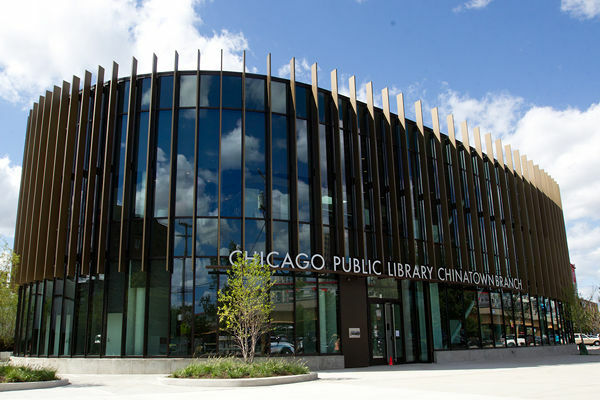 Find out how you can get involved in upcoming teen events at Chinatown here, or by stopping in the library to pick up a program flyer.